In my previous article I discussed using your "why you" words when you start the conversation with a prospect plan decision maker about their company 401(k). Then ask one opening question to get the conversation going. If they are still chatting with you, your next step is to ask a few initial profiling questions. Answers to the questions gives you insight to move forward with the prospect plan decision makers and if appropriate, arrange the discovery meeting. The few initial profiling questions are used to verify what you know about the plan through your initial research and to obtain decision makers perceptions of their company retirement plan. The research you have on the prospect plan is like a poker hand. In poker you verify how good or bad your cards are by interacting with the other players. One of your initial profiling questions and perhaps the most important is one that uncovers any relationship the decision maker may have with any of the current plan providers including the current Advisor. Ask, "Are there any circumstances or relationships that could cause you to favor one institution or individual over another?" You can compete against anyone. You just want to know the levelness of the playing field. And the prospect plan decision maker appreciates your courage in asking about possible relationships. Be ready to manage objections as soon as you deliver your opener. I've collected twenty classic objections delivered by prospect plan decision makers heard over several decades. 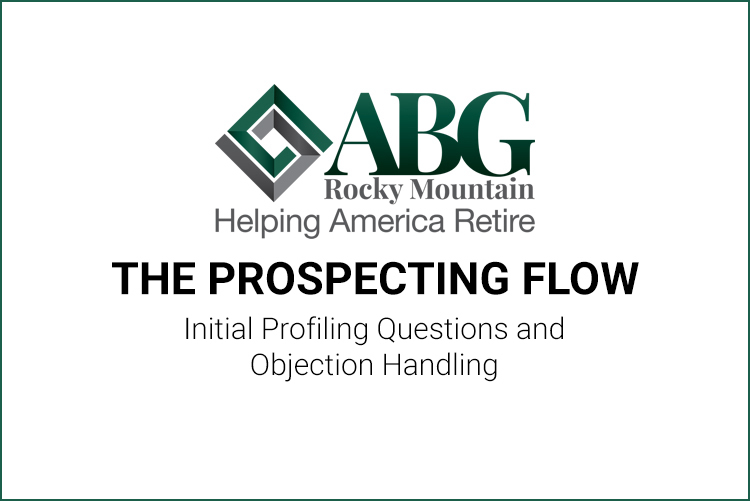 The next article in the series will review the discovery meeting where you strengthen the relationship with the prospect plan decision maker and learn all you need to know to be chosen to serve their company 401(k) plan. Chris is the founder of our 401(k) Sales Champion program. Click here if you would like to learn more about this FREE sales development program that we offer to advisors interested in launching, growing, and improving their 401(k) business. This blog post is reproduced with permission from Chris Barlow.